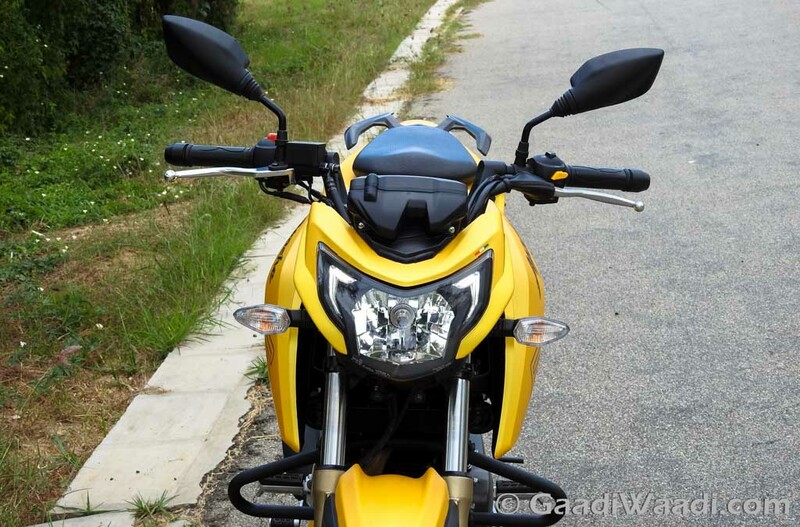 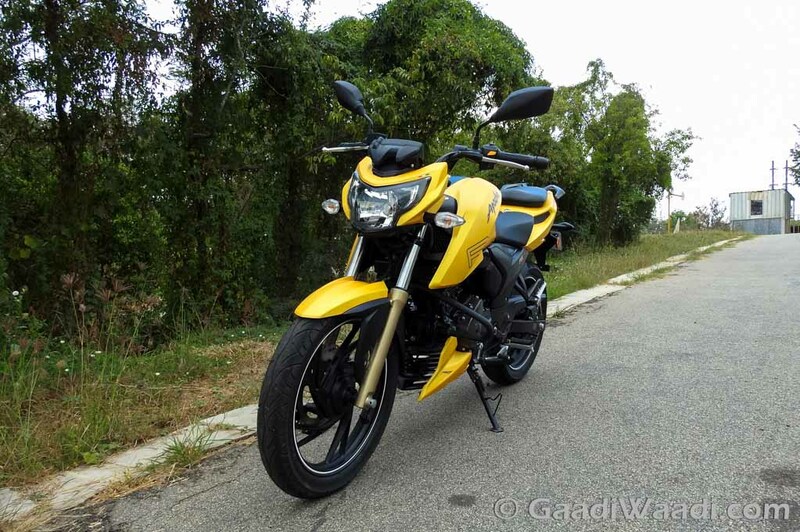 TVS has finally launched the updated Apache RTR 200 4V at a price of Rs. 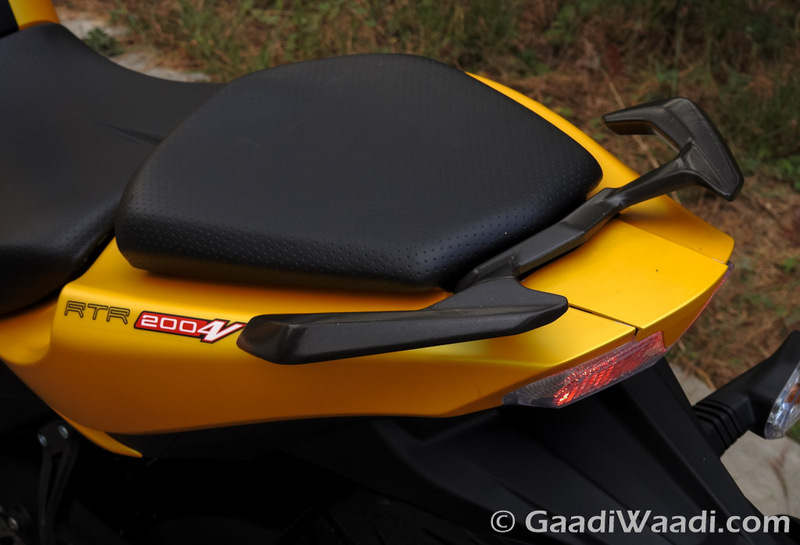 97,800 (ex-showroom, Mumbai). 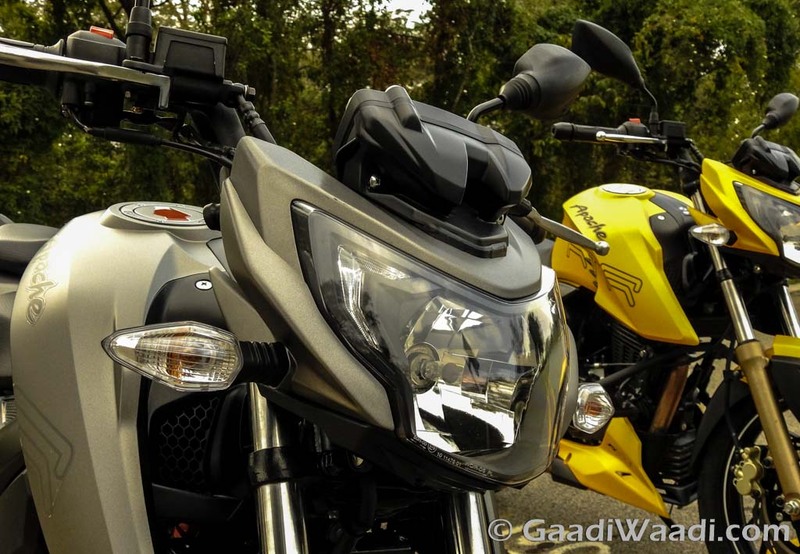 As with every MY2017 motorcycles entering the domestic market, the two major changes dominating the spec sheets are the compliance with BS IV regulations and the addition of Auto Headlamp On (AHO) feature in response to Indian government’s latest mandate. 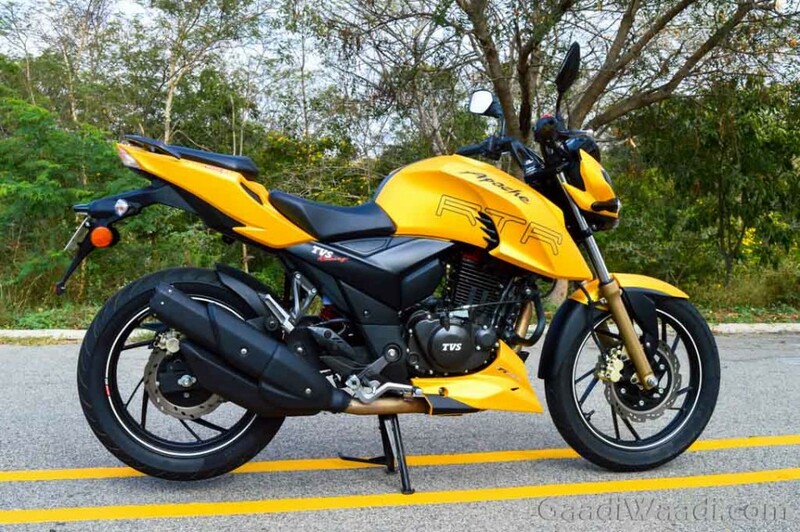 For around Rs. 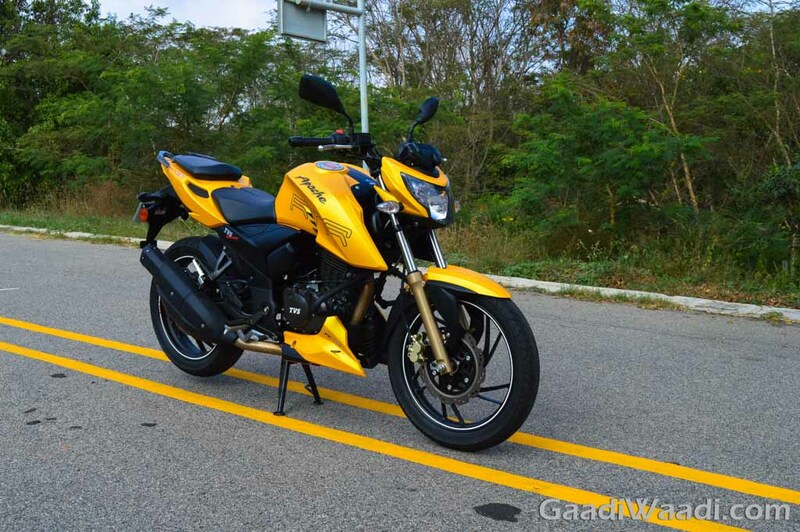 1,06,000 (ex-showroom), the Hosur-based two-wheeler giant will be fitting you a set of more stickier Pirelli tyres instead of the standard TVS Remora rubber. 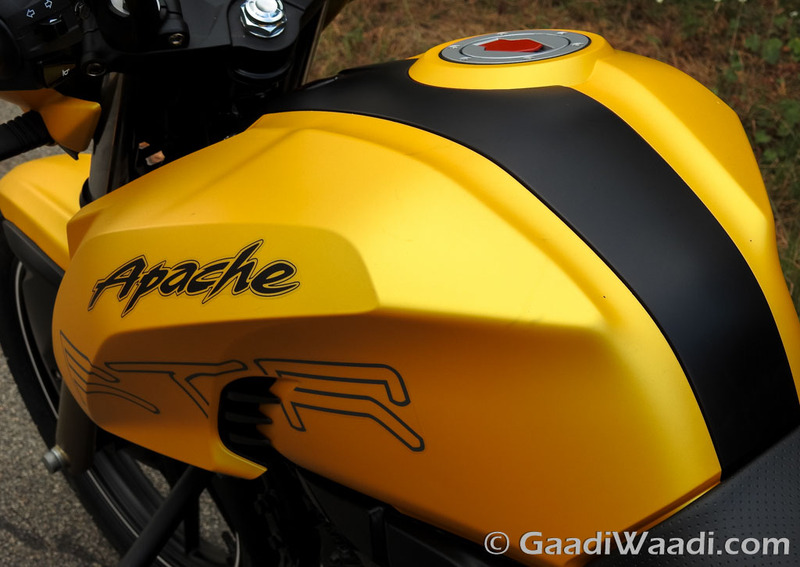 However, it is yet unknown when the top-spec ABS equipped model and fuel-injected motor will be up for sale as they are value for money proposition in the segment the Apache 200 competes in. 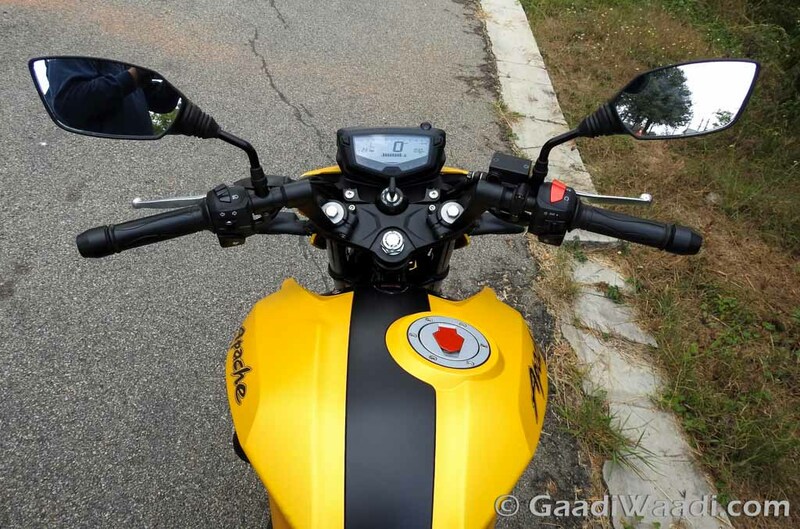 Understandably, no visual updates have been introduced as the flagship Apache streetfighter had a thorough refresh last year except for the addition of BSIV sticker on the engine cowl. 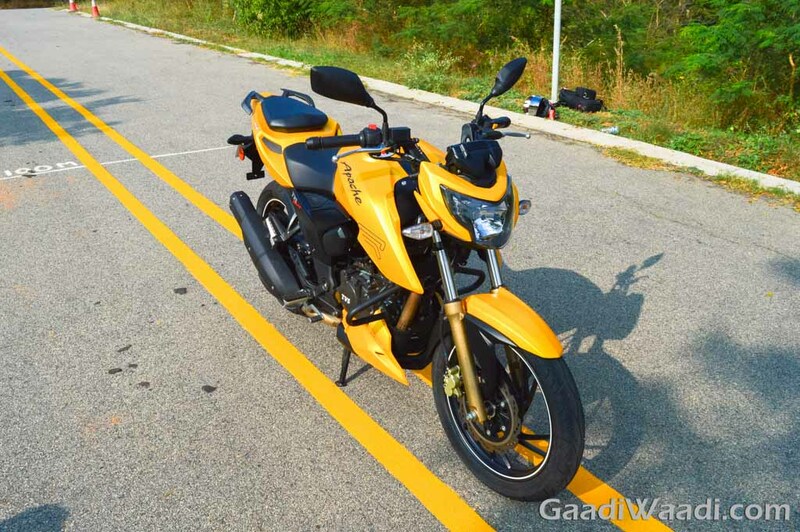 The Apache RTR 200 4V derives power from a 198 cc oil-cooled single-cylinder carb engine which is good enough to produce a maximum power output of 20 bhp and 18 Nm of peak torque. 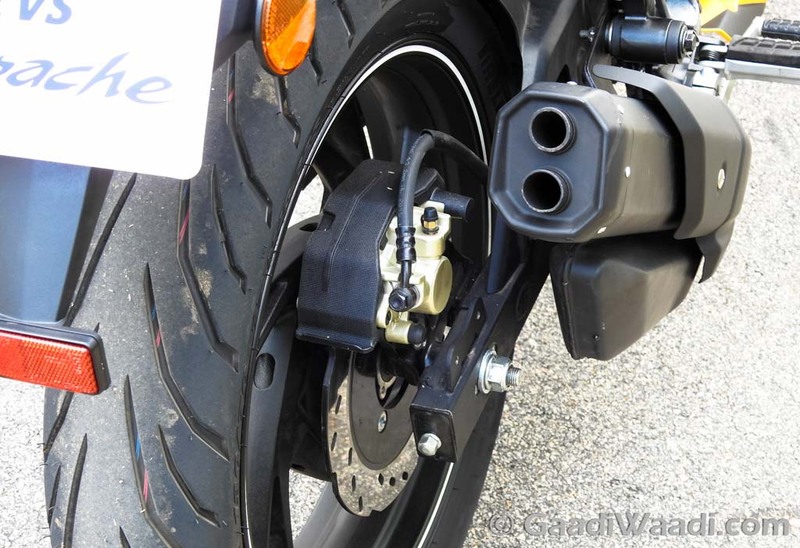 Sending power to the wheel is through a five-speed transmission. 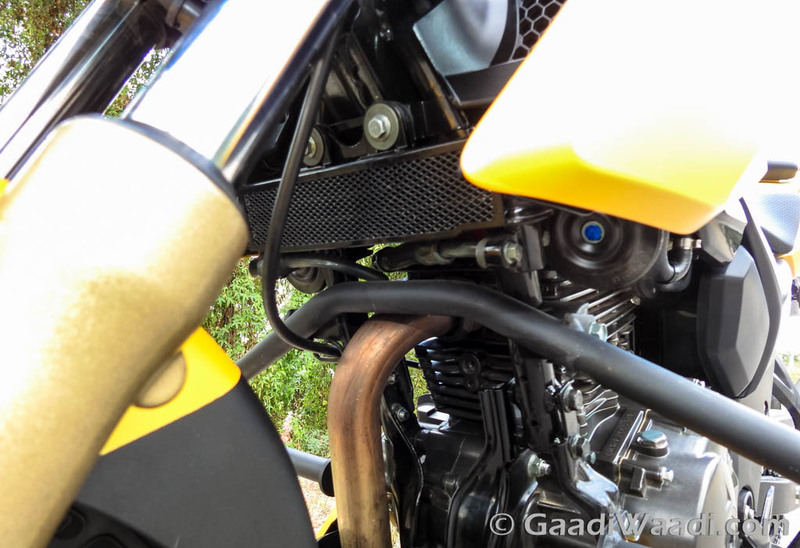 The headlamp switch has been ditched from the switchgear as AHO safety feature is now made available. 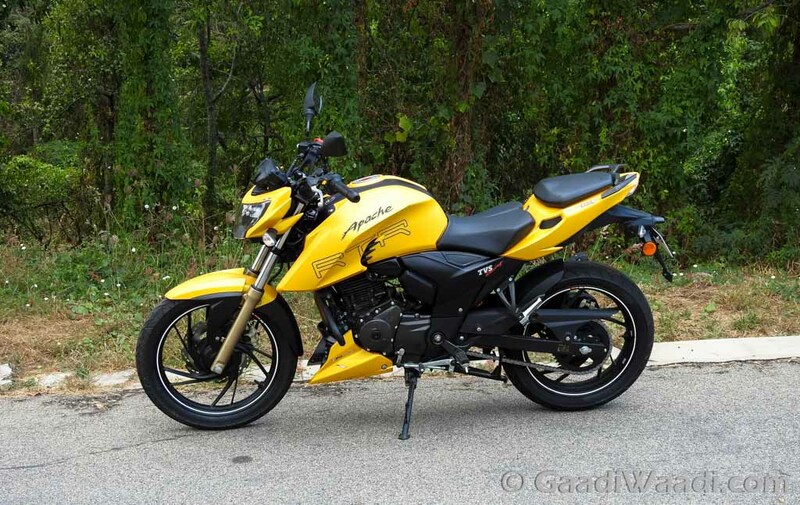 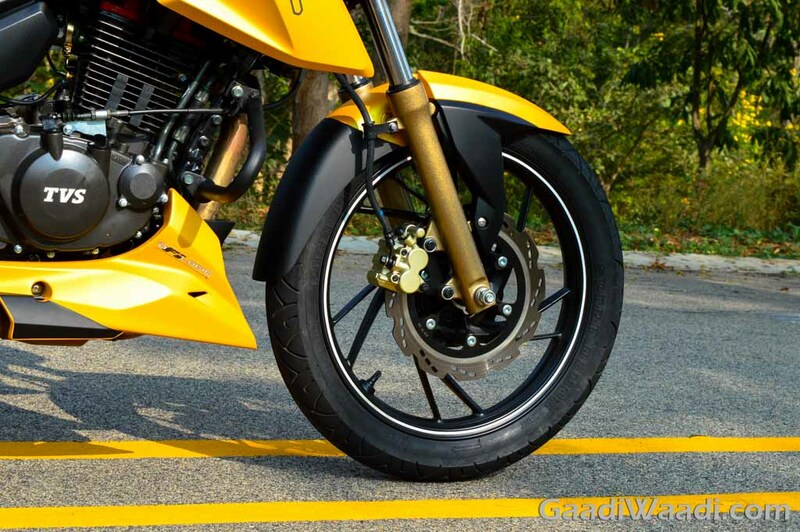 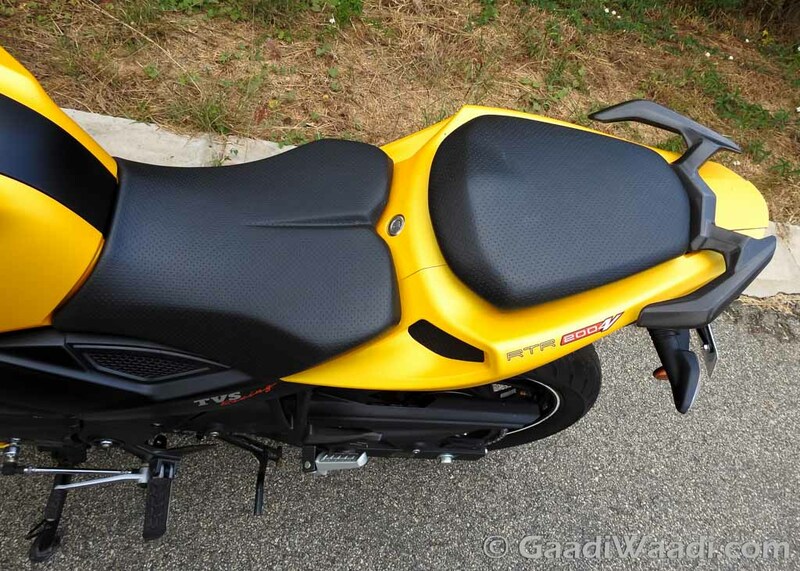 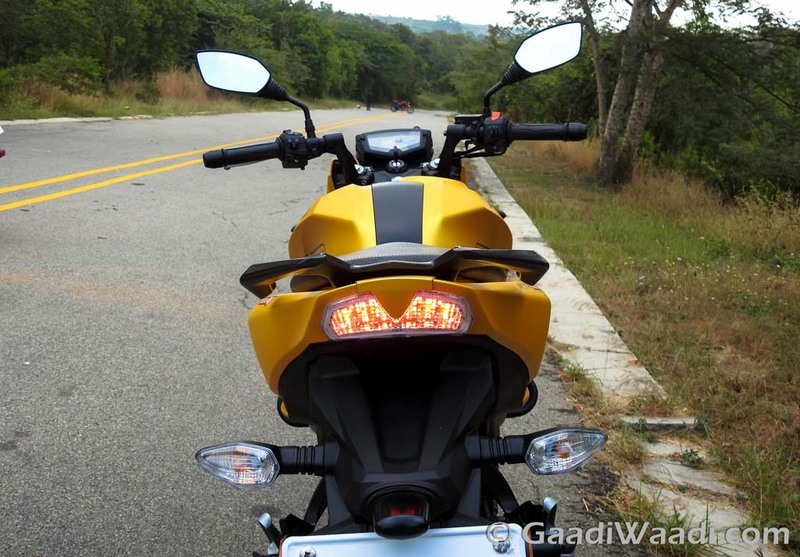 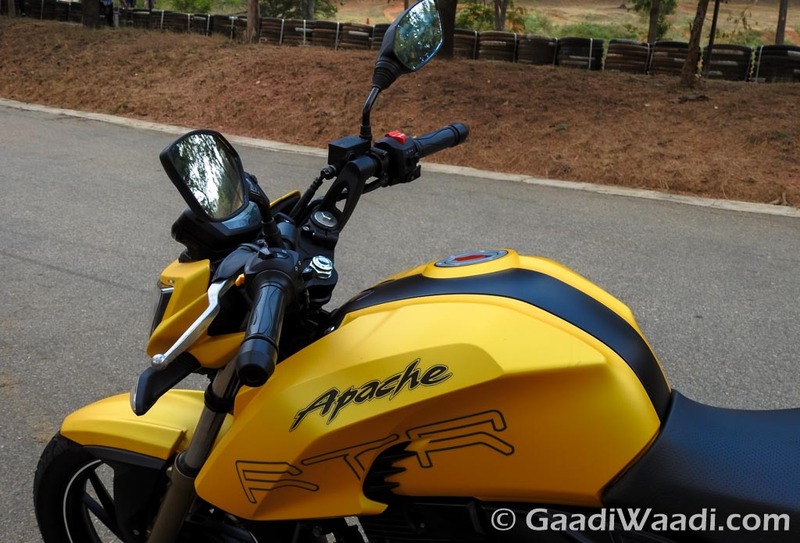 The Apache RTR 200 4V measures 2,050mm in length, 790mm in width, 1,105mm in height and has a wheelbase of 1,353mm. 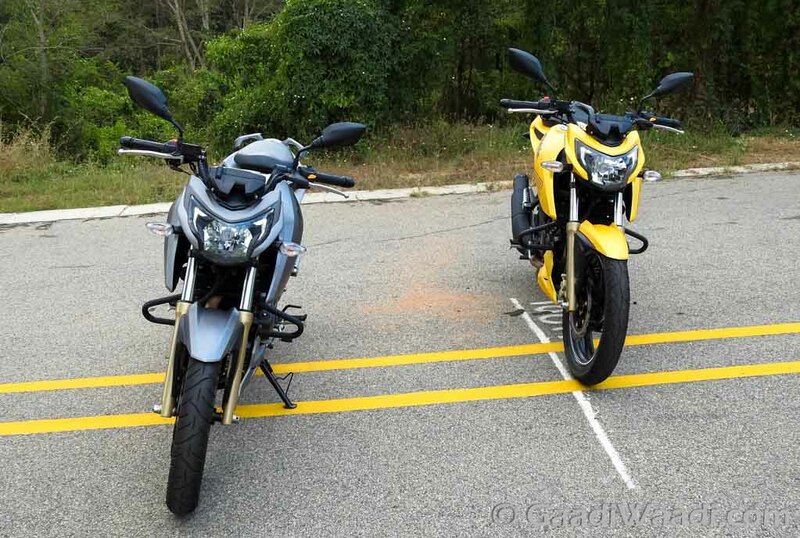 It has a ground clearance of 180 mm and seat height of 800 mm with 12-litre fuel tank capacity and 148.5 kg kerb weight. 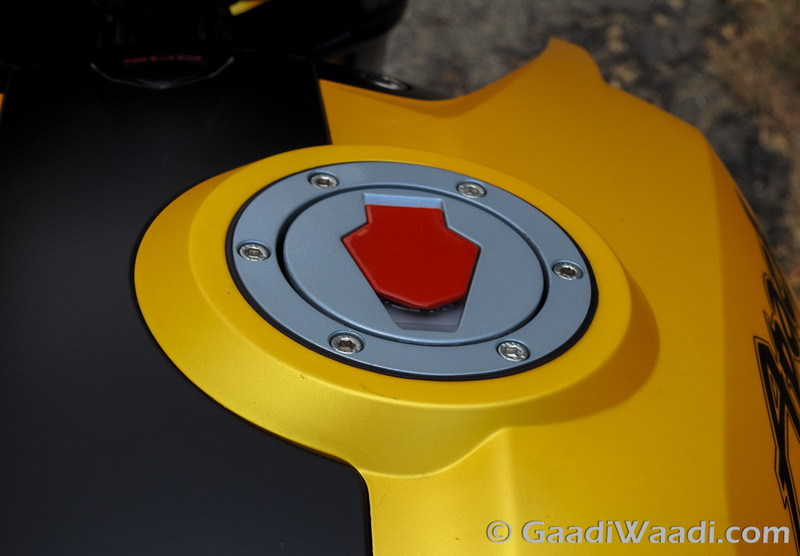 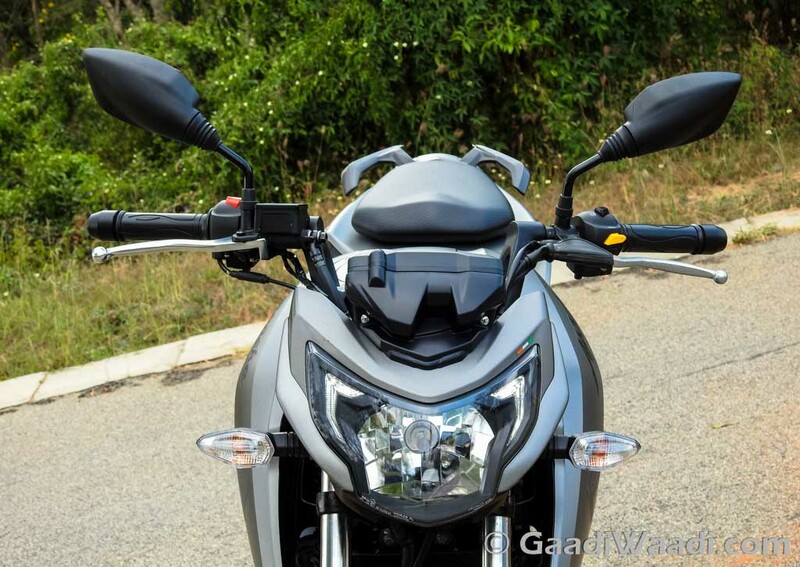 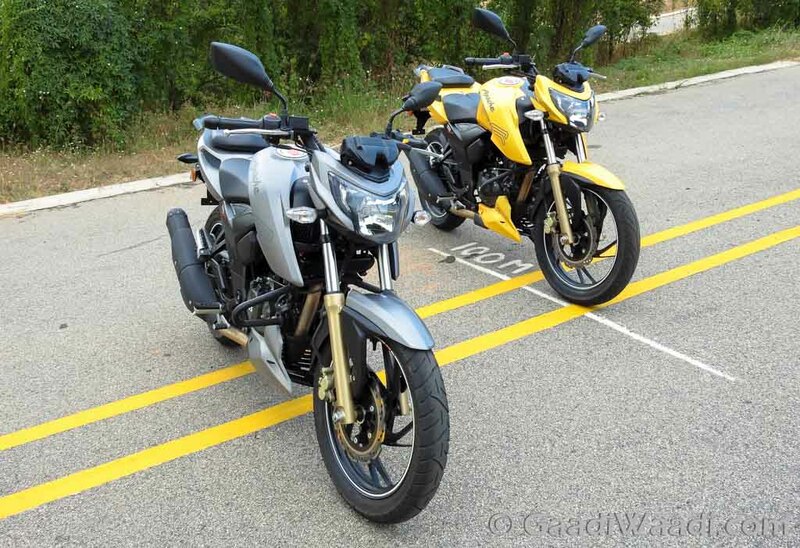 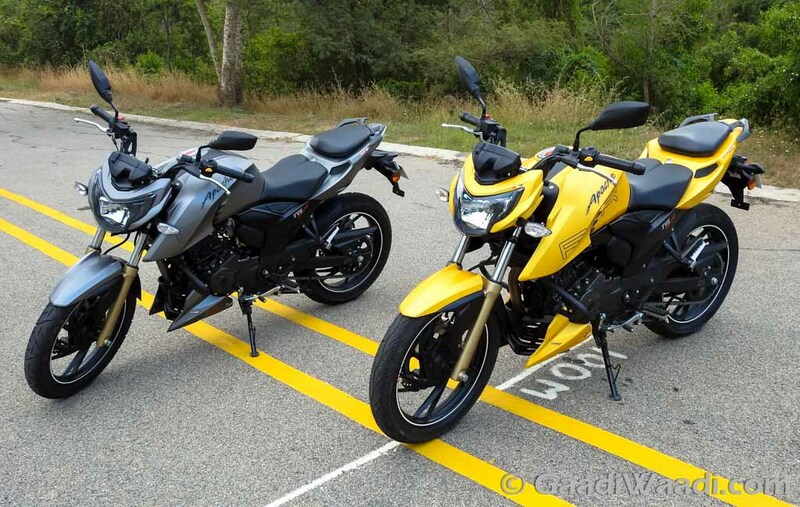 The competition in the naked 200-250cc segment has been increasingly competent in recent months with the arrival of Bajaj Pulsar NS200 and Yamaha’s FZ25. 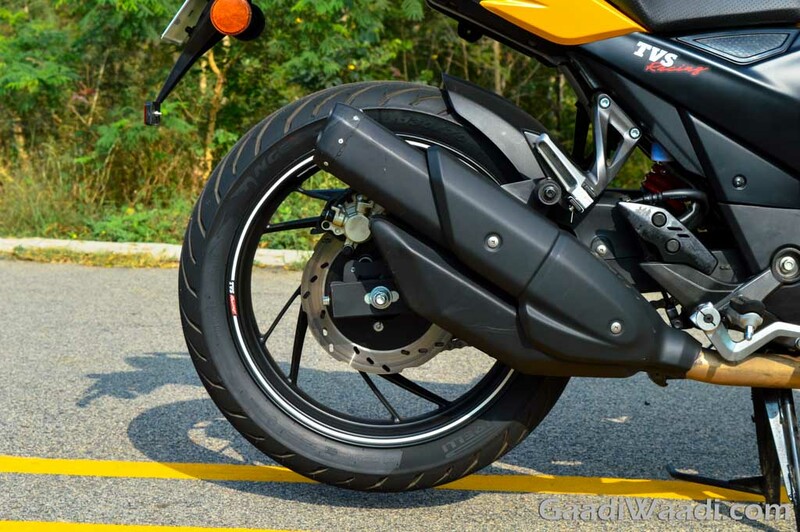 TVS is also preparing to launch a fully-faired sporty motorcycle derived from the Akula 310 concept showcased at 2016 Auto Expo in the coming months.